Here’s a cost-effective solution for adding USB 3.0 connectivity to your computer. 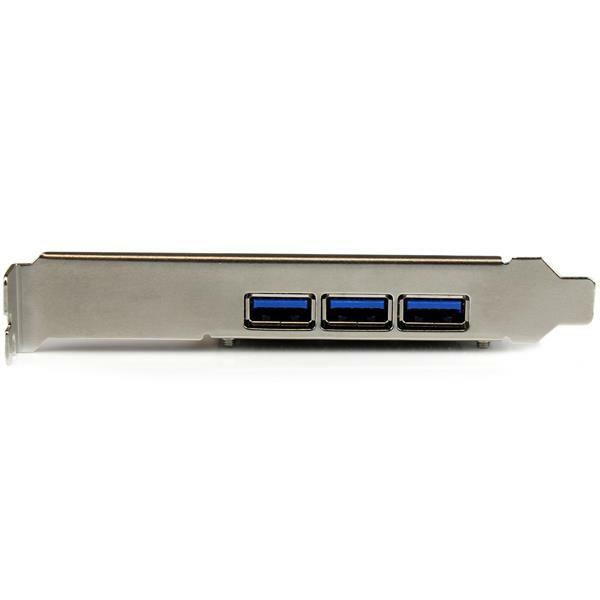 This 4-port PCIe USB 3.0 card gives you three external ports and one internal port, for the ultimate connection flexibility. With three external USB 3.0 ports you can connect more devices to your computer. The card provides easy access to commonly-used peripherals such as your tablet and external hard drive. It also features an internal USB port that lets you connect a device such as a flash drive inside your computer case, providing added security and convenience. 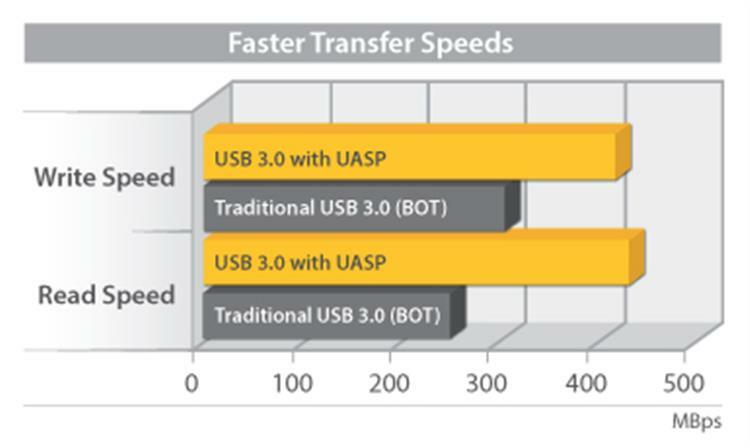 USB 3.0 gives you fast access to your files with data transfer rates up to 5 Gbps. Plus it's backward compatible with USB 2.0 and 1.x devices, which eliminates the cost and aggravation of upgrading your existing devices. Setup is a breeze with native operating system support. The USB 3.0 adapter card automatically installs in Windows® 8.1, 8 and 7. 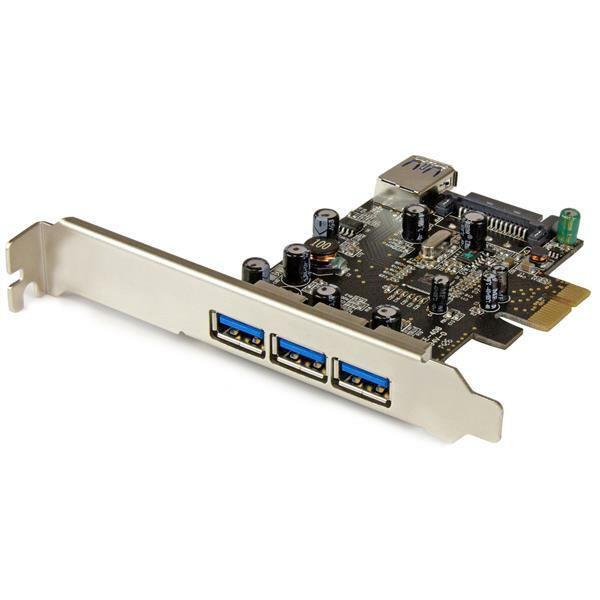 For convenient installation, this PCI Express USB 3.0 card features a dual-profile design that can be installed in almost any type of computer. It comes equipped with a standard profile bracket and also includes a low-profile bracket for installation in small form-factor/half-height systems. This high-performance USB 3.0 card is enhanced with UASP support, which can perform ~70% faster read speed and ~40% faster write speed over traditional USB 3.0, when paired with UASP-enabled enclosure. The PEXUSB3S42 is backed by a StarTech.com 2-year warranty and free lifetime technical support. Note: UASP (USB Attached SCSI Protocol) is supported in Windows 8.1, 8, Server 2012 and Linux kernel 2.6.37 or later. Test results were obtained using an Intel® Ivy Bridge system, StarTech.com add-on USB 3.0 cards, a UASP-enabled StarTech.com enclosure, and a SATA III solid state drive. In the list of extracted files, double-click the VIA_XHCI_Driver_V4.50A_AP.exe file.